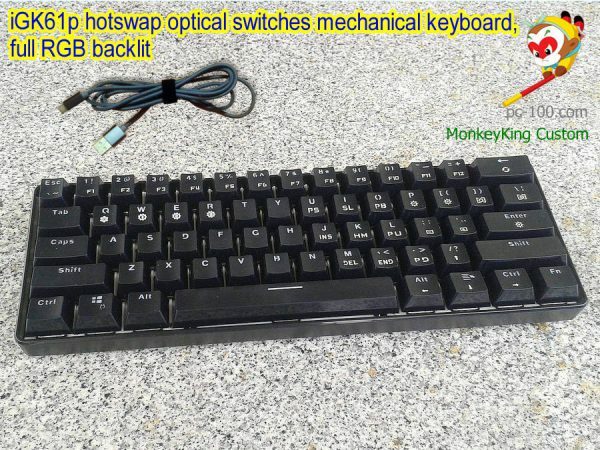 The latest group buy for iGK61P is running at here. 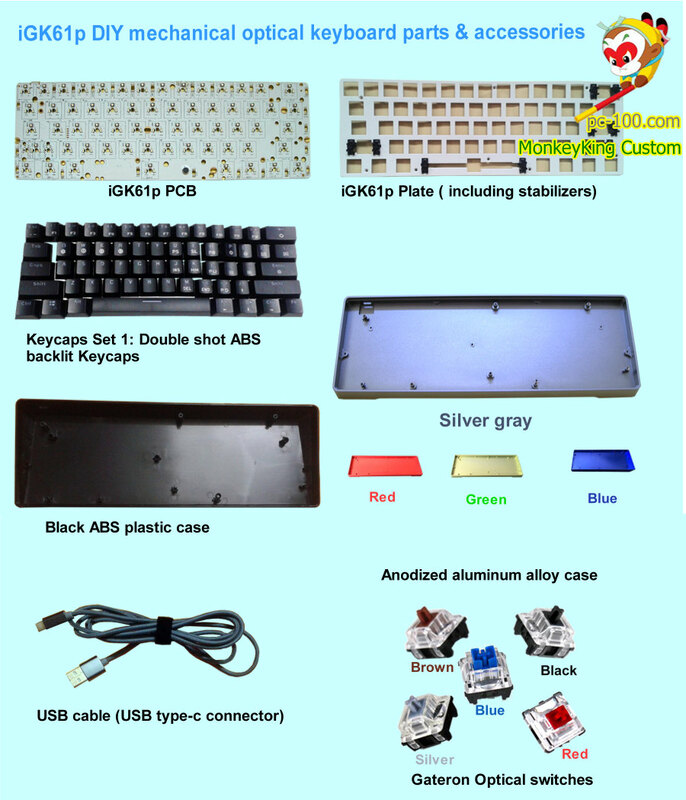 And other custom iGK61P mechanical keyboard parts…. 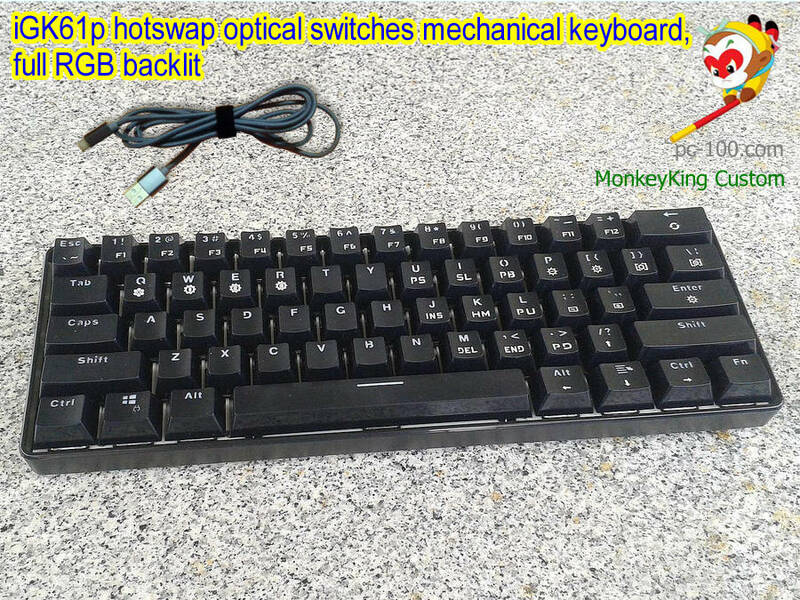 Build your own 60% optical switch mechanical keyboard easily. 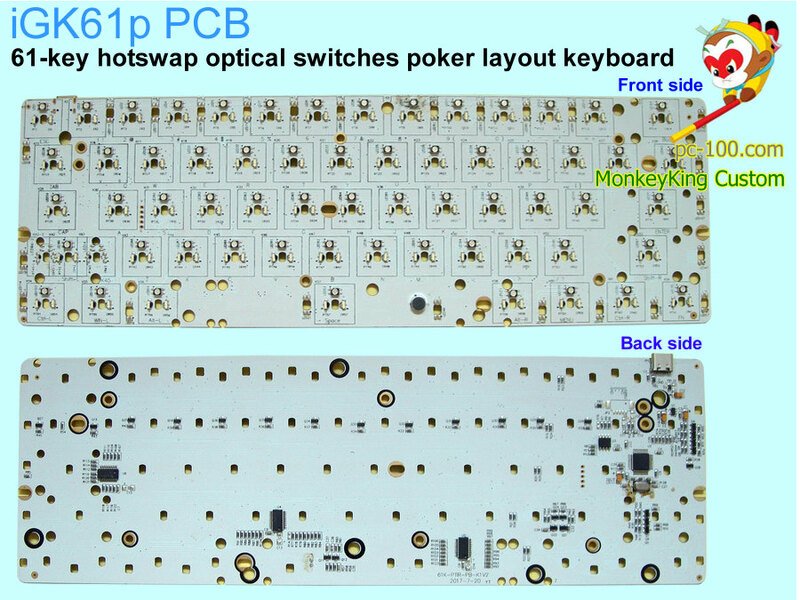 Each purchase of an optical keyboard, custom kit, or PCB, can get 4 pcs optical switches free. 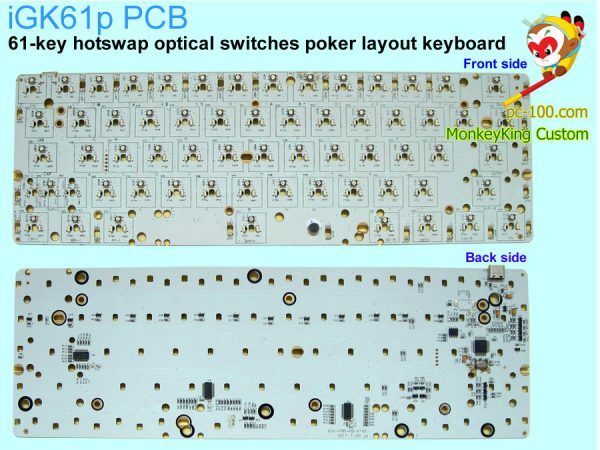 Notice: All PCB we sell have been soldered all electronic components ( including all RGB LED ), user needn’t any soldering. 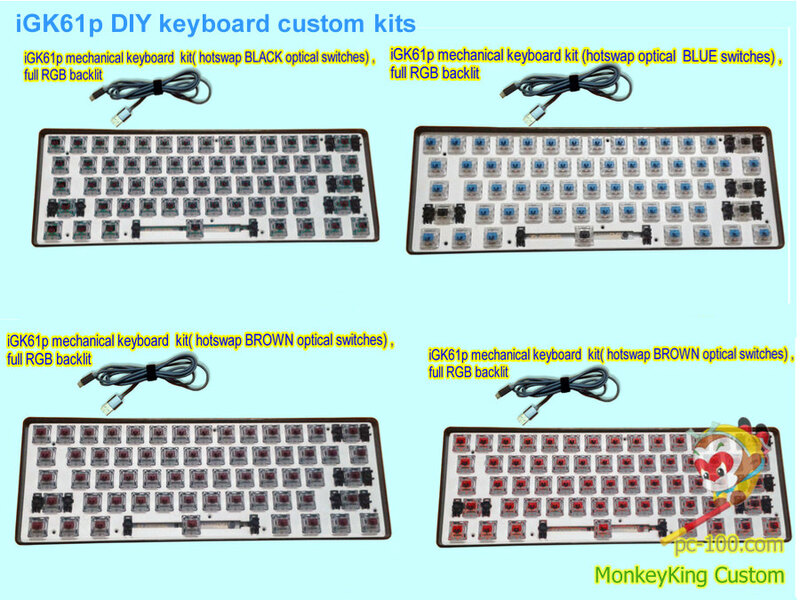 It has been soldered all electronic components ( including all RGB LED ), user needn’t any soldering. 3.Freight cost: Different order (different weight), different country has different freight cost. you will see your final freight cost on your checkout page. 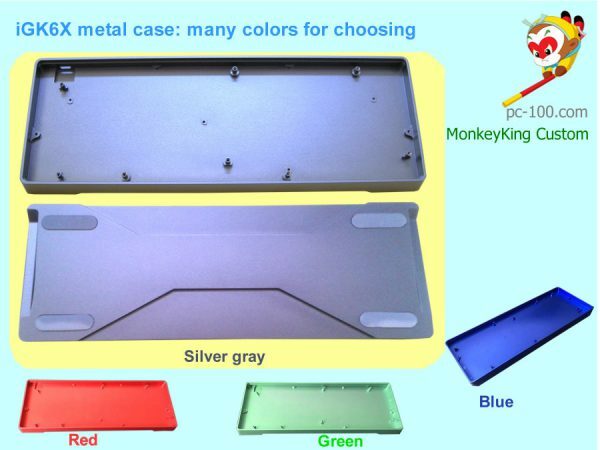 1.Buy a single product with a quantity of more than 50, you can send email (or leave message) to us to apply for a special discount for your order. 2.If you need to custom mechanical keyboards for your company (brand), please contact us without any hesitation. 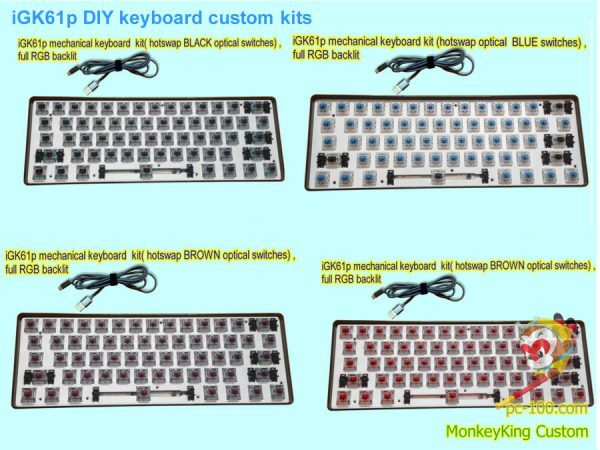 Our company are good at customizing mechanical keyboard: from PCB layout, MX-based mechanical switches( or optical switches), keyboard cases, keycaps…to driver software, all kinds of customization we can supply.